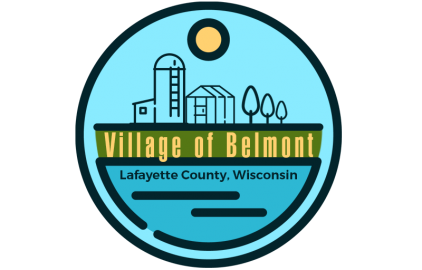 Bond Park is located in Belmont adjacent to the Pecatonica State Trail on S. Park St. It has a softball diamond, playground, sand volleyball court, and picnic area with a shelter. There are also exercise stations throughout the park to use. This shelter maybe reserved for a fee by contacting the village office. Ken Leahy Park is located by the water tower on S Mound Ave. and includes a tennis court, basketball court, horseshoe pits, playground, and picnic area with a shelter that has electricity. This shelter maybe reserved for a fee by contacting the village office. Please contact the village office to be sure the date you want is not already taken. Belmont Mound State Park features a peaceful picnic area toilet facilities and playground. Turkey, deer, birds and other animals may be seen at the park. There are interesting rock formations such as "Devil's Dining Table" and "Devil's Chair" on the north side of the mound. From U.S. Highway 151 in Belmont, turn west on County Highway G. Follow Highway G west and north about two miles to East Mound Road. Turn left and go about 0.15 miles. The park entrance will be on your right. A 60 acre spring-fed lake located 3 miles northeast of Belmont adjacent to US HWY 151 offers swimming, fishing, paddleboats, playground, shelter house, camp store, laundry and shower facilities. There are secluded tent sites, RV sites with hook-ups and a dump station, and ground camping sites for family and group get-togethers. A 9.6 mile multi-recreational trail joins the Cheese Country Trail at Calamine, which links Mineral Point and Monroe. It is open to skiers, hikers, snowmobiles, ATVs, motorcycles and horses. This limestone-surfaced trail is on a former branch line of the Milwaukee Road railroad (1869-1974) and goes through the scenic valley of Bonner Branch of the Pecatonica River. There is parking for trail users at Bond Park in Belmont. Camping and RV spots are available at Lake Joy Campground.